Nina Kemel, a native of St. Petersburg, Russia, has devoted her entire career to teaching and nurturing pianists of all ages and levels. Ms. Kemel holds Bachelor and Master of Arts degrees in Piano Performance from one the most legendary music schools in Europe, the Rimsky-Korsakov Conservatory of Music in St. Petersburg, Russia. After completing her studies, Ms. Kemel launched an impressive career as a pedagogue, having taught at the St. Petersburg Conservatory of Music, as well as at two prestigious conservatories in Israel, one of them being the famed Tel-Aviv Conservatory. 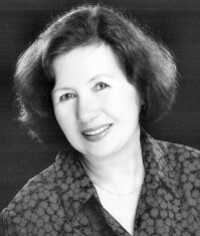 A resident of Seattle for over 20 years since her international teaching career, Ms. Kemel has been a private instructor and coach in many music schools in the Seattle greater area and has always been admired and cherished by all her students as both a warm and encouraging teacher of the highest quality. Having taught students in three countries, many of her students have been extremely successful in their pianistic careers, having been awarded numerous prestigious prizes, awards, and scholarships.